Most rock and roll fans are likely still trying to wrap their heads around the death of Tom Petty. He was an amazingly consistent presence on the music scene, one who always seemed to be in the mix whether releasing new music or staging massively successful tours. At least we have his peerless catalog of music by which to remember him, whether he was fronting the Heartbreakers, doing solo work, or connecting with old buddies (Mudcrutch and The Traveling Wilburys.) Petty was the rare rocker who could cross over to the pop charts (sixteen Top 40 singles) without seeming to sell out. But you can also find plentiful examples of his artistry buried as album cuts. Here are ten Tom Petty songs to know (on the chance you don’t know them already). This was the second single that Petty and the Heartbreakers released off their debut album, and it actually charted higher in Britain than warhorses “Breakdown” and “American Girl.” The band’s success in England gave them a much-needed boost when their home country was slow to come around. As a result, this energetic strutter which is emblematic of Petty’s early efforts to squeeze the word “rock” into as many songs as possible, is a pretty important song in the band’s history, even if it rarely gets stateside radio play. Producer Jimmy Iovine hijacked the unreleased Heartbreakers track “Stop Draggin’ My Heart Around” for Stevie Nicks, turning it into a Number Three hit duet. What many don’t know is that Petty was going to contribute this heart-tugging ballad to Nicks, but he thought too much of it and kept it for his own. Nicks did come aboard to provide supporting vocals on Hard Promises, and the pair do a beautiful job bringing all of the hurt and wounded pride out of the lyrics. 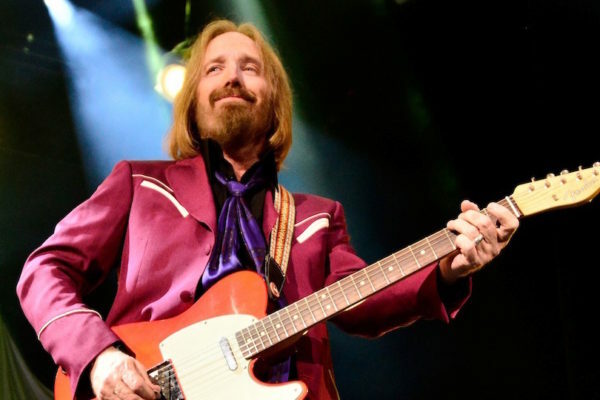 Petty originally intended Southern Accents to be a kind of concept album, but it didn’t quite come to fruition, in part because the single “Don’t Come Around Here,” an outlier from the geographical theme, was too good to leave out. Hence the album is a bit disjointed, but the highs — including the title track, “Rebels,” and this benevolent closing slow song — are staggeringly great. Petty was running in stellar company at this point, which is why it’s not that surprising that three members of The Band contribute here: Robbie Robertson as producer, Garth Hudson on keyboards, and Richard Manuel on backing vocals. The title of the 1987 album Let Me Up (I’ve Had Enough) may have hit a bit too close to home to the Heartbreakers intra-band relationships at that time; it’s no surprise that Petty’s next record would be his first solo release. Still, the band knocks this weeper out of the park, with Petty writing typically lived-in lyrics about love and loss, and Mike Campbell providing just the right instrumental touch with the Japanese koto in the intro. After Petty scored the biggest album of his career by collaborating with Jeff Lynne on Full Moon Fever, he decided to bring Lynne into the Heartbreakers mix. Lynne produced 1991’s Into The Great Wide Open and chafed some of the band members with his insistence on multi-tracking and overdubbing in favor of a live-band approach. But it’s hard to argue against the results of this majestic track about shattered American dreams and dreamers, with Roger McGuinn on backing vocals. This sad little number from 1994’s Wildflowers carries some of the same loose-limbed musical vibe found on the Full Moon Fever track “Yer So Bad.” Both songs are built on acoustic guitars and rapid chord changes, and both feature Petty telling touching little short stories in the shortest of strokes. 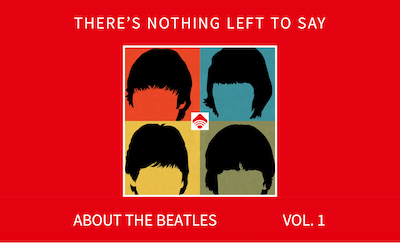 Rick Rubin’s production on this track is actually reminiscent of Lynne’s, while Ringo Starr makes a guest appearance on the drums. Catchy as heck, but still sticks with you after it’s done. Much of the Echo album was written by Petty while he was in the midst of the relationship turmoil that would lead to the end of his first marriage. He often denigrated the album in interviews after, saying that he wasn’t in the right frame of mind. But fans hold it in high regard, as it features some of the rawest writing of his career and some of the most impassioned Heartbreaker performances. The title track easily could have fit in on fellow Wilbury Bob Dylan’s Blood on the Tracks, so harrowing are the emotions that it reveals. Petty reunited with Lynne for Highway Companion, and the pair slipped right back into their relaxed groove. You might even consider this ballad this album’s equivalent of what “Free Fallin’” was for Full Moon Fever, in that it serves as the profound emotional centerpiece amidst all of the more lighthearted material. Petty comes up with one his most winningly-simple melodies on the track, and Lynne gilds the lily with some of his trademark high harmonies. Mudcrutch, Petty’s original band before he broke big with the Heartbreakers, was reunited in 2008. Since a couple of Heartbreakers (Campbell and Benmont Tench) were also a part of the action and Petty was still the main songwriter, the Mudcrutch debut didn’t sound too dissimilar from the Heartbreakers’ best, with the possible exception that there was more of a country tinge to the proceedings. This back-porch rambler features some witty Petty lyrics about a ne’er-do-well trying to unsuccessfully win over a high-class lady. One only wishes that Hypnotic Eye was just another in a long line of classic Heartbreaker albums, instead of becoming Petty’s recorded swan song. At least it was representative of his career-long work, rollicking and fun in places, insightful and wary in others. The closing track seems especially prescient in these troubled times, as Petty turns his spotlight on the people in society who become estranged from their support systems and turn to extreme views and behavior as a way of making sense of it.